I love any type of party that allows their guests to interact with one another and what better way to do it than over food. Food bars are just the way to do that. Along with that comes less work for you when are throwing a party this summer. You can focus on one main dish that is accompanied with a variety toppings, dressings, or dipping sauces. Food bars are just styled food stations that give your guests the chance to go CRAZY and create their own food masterpieces. A million and one combinations are can be made - well maybe NOT that many but you get the picture. I have broken down food bars into 3 types - adult, kids, and brunch, but with slight modifications they can fall into any of the 3 types. Honestly the options are endless, but with summer you have the opportunity to incorporate some wonder produce to these food bars. Here is a list of some of the different kind of food bars you create this summer. 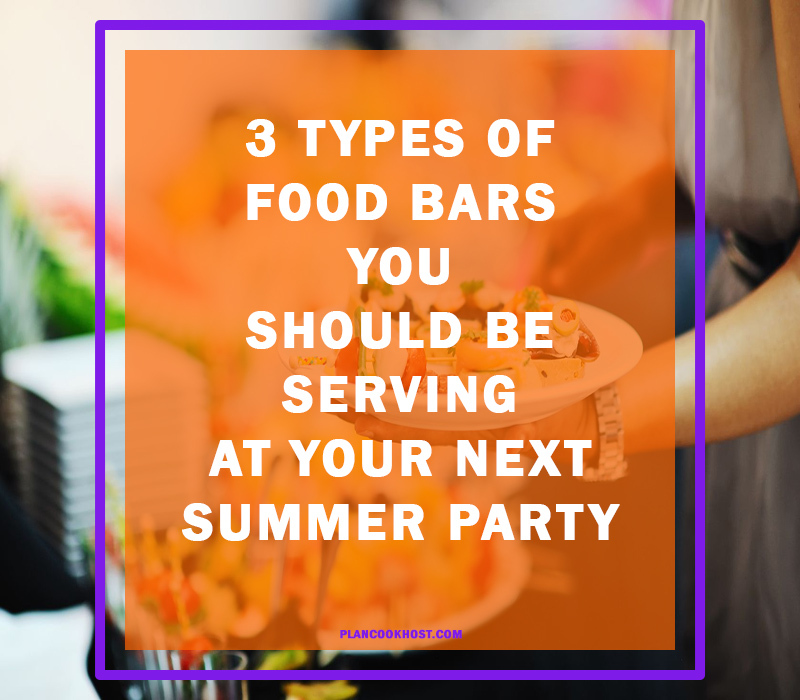 Check out my Pinterest board for more ideas on how you can add food bars to your parties this summer. What food bars are you thinking about creating this summer? Let me know below.